The state of Michigan has a number of laws in place for consumers who may face having their car repossessed as a result of missed payments. Knowing these laws help to ensure that residents of the Wolverine State are able to understand their responsibilities under the law and to protect their rights as consumers. Michigan vehicle code section 217 dictates that in order for a bank or lending institution to repossess a vehicle from a debtor due to nonpayment, the bank or lending institution must have a valid lien filed against the vehicle with the Michigan Department of Motor Vehicles. The lien against the vehicle in question must include the vehicle identification number and the name of the bank or lending institution that holds an interest in the vehicle. 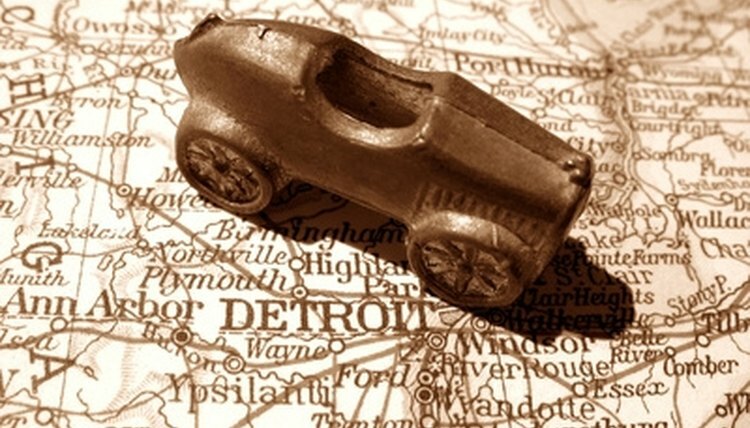 It is unlawful to repossess or attempt to repossess a vehicle in the state of Michigan that is not secured with a proper lien. What Are the Repossession Laws in Alabama? The Michigan Universal Commercial Code section 440-9503 mandates that, while a secured party has the right to repossess a vehicle due to default on the part of the buyer, the act must not be in violation of the law and may not cause a breach of the peace. While it is lawful for the bank or lending institution or anyone acting on its behalf to repossess the vehicle at any time of day or night, physical violence or the threat of physical harm can not be used as a means to obtain the vehicle. The bank or lending institution's representative may also not enter a locked garage or residence in order to gain access to the vehicle without the consent of the debtor. Under Michigan law, the debtor must be advised of his right to redeem the vehicle by paying any past due amounts and any costs incurred by the bank or lending institution as a result of the repossession. This notification must occur prior to the selling of the vehicle through private sale or at auction. Failure to notify the debtor of his right to redemption is a violation of Michigan Universal Commercial Code 440-9506. In addition, if the debtor fails to act once he has been notified of their right to redeem the vehicle and it is sold by auction or private sale, any profits that the bank or lending institution obtains as a result of the sale, minus any amount due and expenses incurred, must be given to the debtor as soon as reasonably possible. Worsham, Rebekah. "Michigan Car Repo Laws." , https://legalbeagle.com/6679758-michigan-car-repo-laws.html. Accessed 19 April 2019.